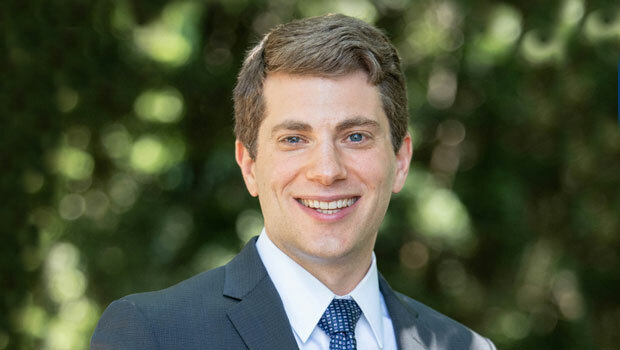 Matthew A. Shapiro served as a law clerk to Chief Justice John G. Roberts, Jr., on the Supreme Court of the United States and to Judge J. Harvie Wilkinson III on the U.S. Court of Appeals for the Fourth Circuit. He also practiced with Hogan Lovells US, specializing in appellate and complex civil litigation. Immediately before joining the Hofstra Law faculty, he was an Associate in Law and Lecturer in Law at Columbia Law School. Professor Shapiro teaches Civil Procedure and Evidence. His research focuses on civil procedure, alternative dispute resolution, and related aspects of private law, drawing on legal and political theory to examine the ways in which the state uses legal doctrine to shape the resolution of private disputes. His scholarship has appeared or will appear in the Columbia Law Review and the Yale Law & Policy Review, as well as an edited collection of essays published by the Oxford University Press, and has been selected for the Branstetter New Voices in Civil Justice Workshop. I knew I wanted to be a law professor even before I applied to law school. Having studied political theory in college and graduate school, I was fascinated by fundamental questions about how to organize a just society and structure its government, yet I found traditional philosophical treatments of many of those questions to be too far removed from the real world. The law is where we try to put our ideals into practice, which is why I find it such a compelling subject. Before joining Hofstra Law, you were a law clerk to Chief Justice John G. Roberts, Jr., on the Supreme Court of the United States. Was there a key lesson you learned from that experience? I had the tremendous honor and privilege to serve as a law clerk to two distinguished jurists and wonderful people: Chief Justice Roberts and Judge J. Harvie Wilkinson III of the U.S. Court of Appeals for the Fourth Circuit. Both are known for their writing, and I certainly emerged from each of their chambers a better writer and legal thinker than I had been when I entered. The Chief, in particular, taught me the importance of being able to analyze even the most complicated legal issues on my feet. And through his example, he showed me how an effective leader can set very high standards while still inspiring those around him to meet them. What inspired you to pursue an academic career in law? There’s simply nothing I’d rather be doing than thinking and writing about the law and teaching and mentoring aspiring lawyers — and somehow, I even get paid to do it! What attracted you to Hofstra Law? From my very first interactions with the faculty here, it was clear that Hofstra Law strongly values both aspects of the academic enterprise: scholarship and teaching. I’m fortunate to be at an institution where I have colleagues who expect me to be — and are eager to help me become — both a serious scholar and an effective teacher. How would you describe your scholarship focus? At the most general level, my scholarship explores the role of the state in resolving disputes between its citizens. This means that I end up focusing primarily on civil procedure and alternative dispute resolution, as well as related aspects of private law. Civil procedure is commonly seen as very technical, and it can be. But I try to show how seemingly dry procedural issues implicate some of the deepest questions of political theory. Now that you are working on Long Island, what are you looking forward to exploring in your free time? I’m excited to explore everything Long Island has to offer young families. My 4-year-old son and I have already taken full advantage of our newfound proximity to Jones Beach. My entire family is looking forward to exploring other parts of the island this fall.